Brick Burger is a LEGO themed restaurant! Their burgers, which look like life-sized replicas of LEGO-built burgers, are mouthwateringly delicious! Feel like a minifigure seated on life sized LEGO seats as you admire the oversized LEGO bricks and tile decorations. Pastas, chicken wings, nachos, rice and more are also served. The restaurant also displays a beautiful collection of LEGO sets and creations. Even your bill comes in a smartly built LEGO bill tray! 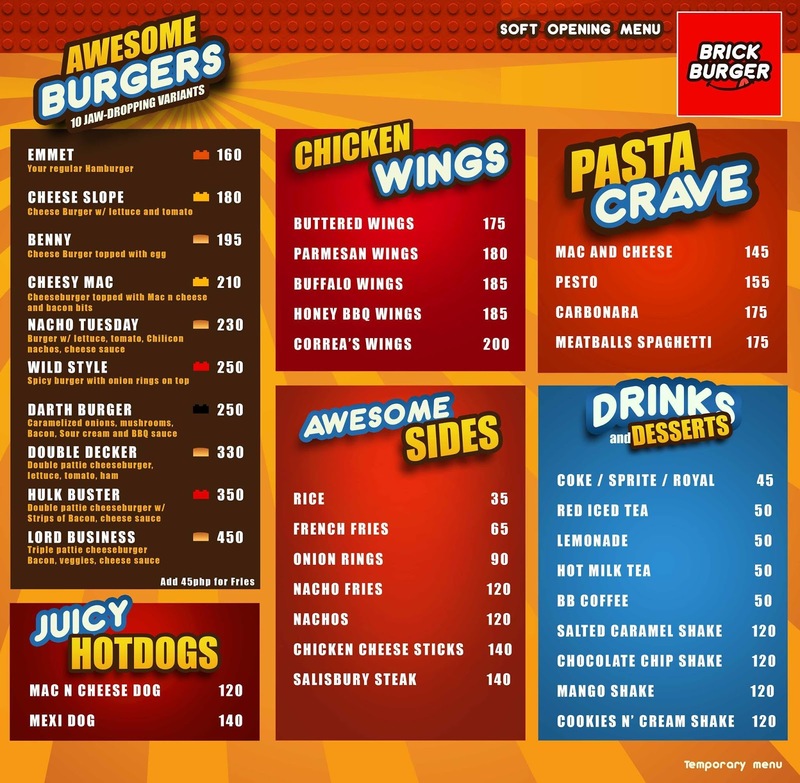 Brick Burger Hampton Gardens is located at Second Floor, Hampton Gardens Arcade, C. Raymundo Avenue, Maybunga, Pasig City, Manila, Philippines.